A new report by the World Bank has revealed that extreme weather events such as climate change are having far-reaching implications especially on poor people than previously thought. 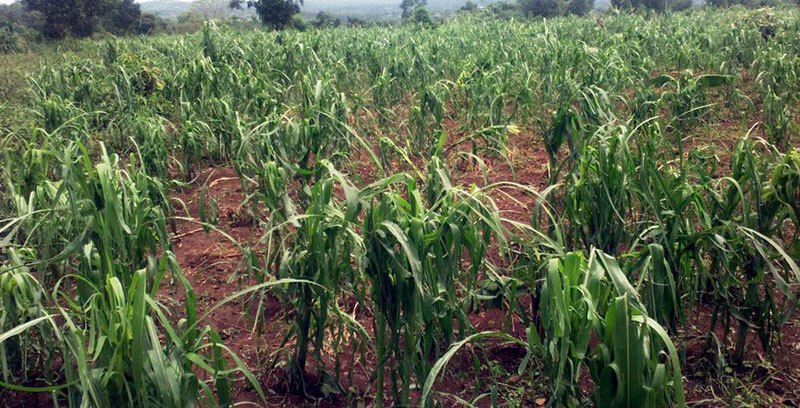 Asuman Babumba, a mixed farmer from Masaka is counting heavy losses after realising that his one acre of maize crop he planted in September has also failed. This is the second successive crop failure in a year and it has nearly wiped out all his savings. “I spent money on clearing the land, on buying seed as well as on planting. All that has now been lost,” said a down beat Babumba. But Babumba is not alone. His story reflects that suffering and sense of anxiety that is gripping the millions of smallholder farmers across Uganda and indeed in much of Eastern and Southern Africa following two successive rain failures. 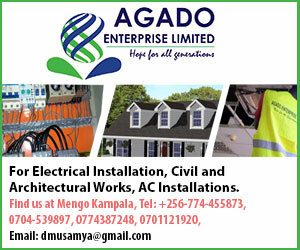 Uganda’s dependency on rain-fed agriculture has compounded the problem as millions of farmers have witnessed their crops wilt away at a time they expected rainfall. Without irrigation, majority of the farmers have simply looked on as their investments wilted away due to prolonged dry conditions. Experts had warned of below normal rainfall in several parts of the country. They had also forecast some dry spells in some parts of the country. They attributed the drought to the El-Nihno weather conditions similar to what affected Southern African countries early this year. But having suffered the first crop failure in the first season, many farmers remained very eager to plant in the current season. Indeed majority were desperate after their food reserves had almost reduced to zero and faced a real danger of starvation. The threat of starvation has indeed become a reality in several parts of the country following the second season failure. As the state minister for agriculture, Christopher Kibazanga revealed recently, about 1.5 million people were in ‘urgent need of food aid’ by last week. And food stocks for another 10 million people especially in Teso, Karamoja and West Nile sub-regions faced a similar situation. Now, a new report by World Bank shows that such extreme weather conditions as El-nino and Climate change are having far-reaching adverse effects particularly on the health and well-being of poor people. “Whenever disaster strikes, it leaves more than just a trail of devastation-it also leaves communities further in the grip of poverty. And yet, when we hear of natural disasters today, their financial cost-that is, the damage inflicted on buildings, infrastructure, and agricultural production-is what catches the headlines. New research, however, suggests that reducing natural disasters to their monetary impact does not paint the whole picture. In fact, it distorts it,” the World Bank says. Launched this week at Climate change meeting in Marrakesh Morocco (COP22), the report titled: Unbreakable: Building the Resilience of the Poor in the Face of Natural Disasters, warns that natural disasters are a greater impediment to ending global poverty than previously understood. In the case of Uganda for example, the effects of the prolonged drought for example is likely to lead to drop out of schools for many children whose parents are struggling to pay school fees for them. The drought is also likely to adversely impact on the health of millions of people particularly children through increased cases of malnutrition.